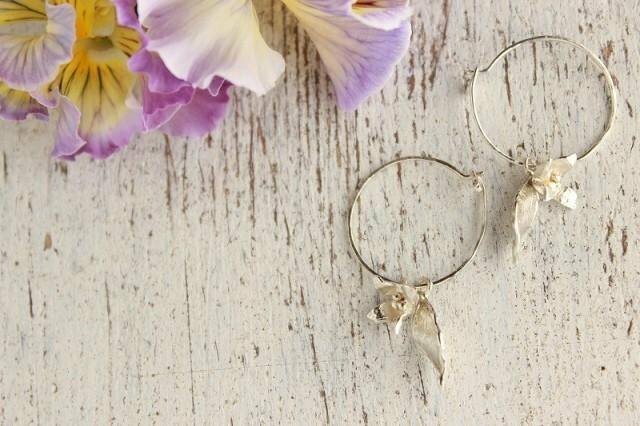 It becomes silver earrings of small flowers and leaves. It is a design that combined a dainty florets and leaves the loop. Wobbling and swaying floret is a delicate and feminine atmosphere. Silver **Notes at the time of the purchase** ※ Please understand as a slightly different one point thing is color and shape for each work, so we have produced all by hand. ※ thank you so fully please confirm the "size" and "material" in the work before you buy.